Ever wonder what impact office design has on employee productivity? It’s probably bigger than you think. But don’t just take my word for it. 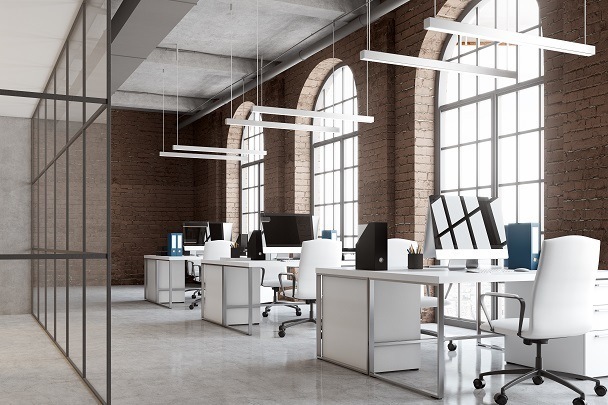 A recent Capital One study shows that 82% of professionals believe companies need to have innovative office spaces to engage and encourage innovation in their employees. This is the heart of company culture. It’s not about 4 pm happy hours, catered breakfasts or the option to play ping-pong during a break. It’s about building a place that employees like to spend time in, where they can feel inspired to do their best work. Everything from the materials used, colors picked and the layout itself has an impact. An impact that can dramatically affect employee attitudes, moods and output. The days of private, individual offices are long behind us. Open office floor plans are here to stay. They are great for creating a sense of unity and offer easy access to coworkers. But employers need to recognize that open workspaces have their drawbacks too. 1. Employees are individuals with individual working styles. The nature of work employees perform can change given the various tasks at hand. Some require more collaboration, while others may be best performed individually in a quiet environment or with only a few people present. Workspaces need to offer a flexible design that caters to both types of work. When employees have options within their physical workspace, they no longer feel trapped or limited by the location of their desk. There is no “one size fits all” when it comes to working style. If you want to attract, engage and retain the right talent, embrace a flexible workspace that provides various comfortable locations to inspire teams and individuals do to their best work. 2. Employees spend more time at work than they do at home. If you can appreciate the implications of this simple fact, it makes sense that employees would want an office that feels like home. That doesn’t mean you need to include a nap or recreation room in the office. But your space has to be a place your employees can identify with and feel comfortable in. Assuming they identify with your brand, your office should be a visual representation of what your brand stands for. Not to mention that your office space is competing with the desire many employees have to work from home. If your organization hasn’t welcomed the work from home trend with open arms, there’s a strong argument for you to make your office a place that employees love coming to. The office is, after all, considered their home away from home. 3. Everyone needs privacy, period. The lines between home-life and work-life have been a blur ever since being constantly connected became the new normal. If employees are answering emails at 11 pm, it stands to reason that they might need to take time out of their day for a personal phone call, want privacy to process work related frustrations or to simply hit pause from the endless stream of stimulus that comes from an open office. Whatever the reason, it’s important to respect that employees have lives with needs that can’t be limited to a 7 pm – 10 pm schedule. Recognizing that your workforce isn’t meant to be productive 100% of the day and that being allowed to take breaks can actually increase the quality of their work will pay dividends in creativity and output in the future. Be sure your office offers private spaces where your employees can go for some needed alone time. There’s no question that your office space plays a critical role in employee performance. You might not be able to move into a fresh new space or have the funds to revamp your entire office, but that doesn’t mean you can’t make improvements. New paint or redoing a common area can go a long way. When employees see that you’re acting with the right intentions, it will be met with appreciation and understanding. Start small and maybe you can even get your employees involved in the process!